Located in the historical Sultanahmet peninsula, Ottoman Hotel Imperial was deemed worthy of “The Best Location” award in the Haute Grandeur Global Hotel Awards. Gala Ceremony of the Awards, with participants from 7 continents and 172 countries competing in 94 categories, was organized in Fairmont Al Bahr Hotel. In the ceremony where more than 350 invitees attended, Ottoman Hotel Imperial’s award was received jointly by Cenk Konuşur, Chairman of Board Ottoman Hotels Group, and Serdar Balta, General Manager of Ottoman Hotels Group. Located next to Hagia Sophia, one of the world’s most important structures, Ottoman Hotel Imperial has total 49 rooms, offering its guests the comfort and opportunity of welcoming the new day with Hagia Sophia view. Ottoman Hotel Imperial also hosts the Matbah Restaurant which offers its guests the tastes of Ottoman Palace Cuisine brought from past into the present. .
Tarihi Sultanahmet Yarımadası’nda yer alan Ottoman Hotel Imperial, Haute Grandeur Global Hotel Awards Ödülleri kapsamında, “The Best Location” ödülüne layık görüldü. 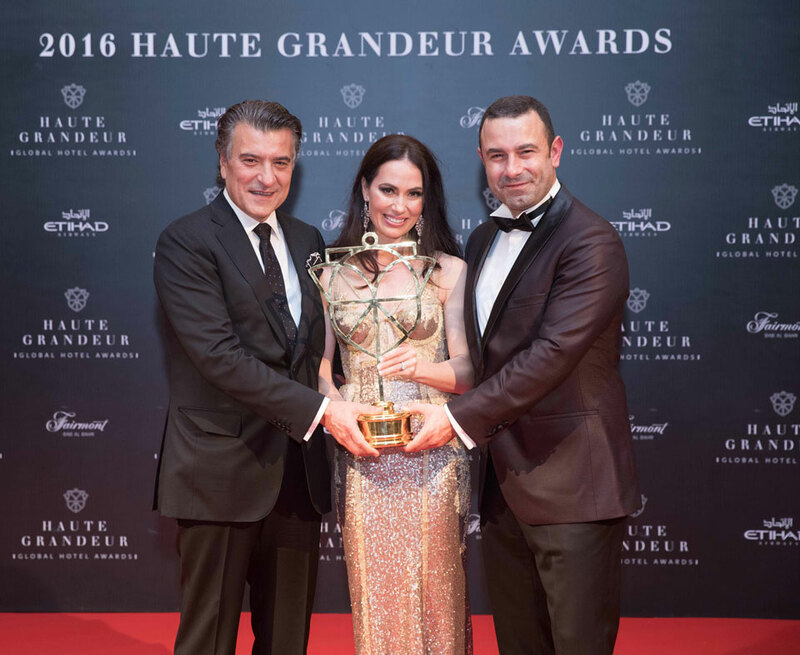 Dünyanın dört bir yanından en iyi oteller, 20 Ekim tarihinde Abu Dabi Fairmont Bab Al Bahr’da düzenlenen Ödül Galası Töreninde Haute Grandeur Küresel Otel Ödülleri (Haute Grandeur Global Hotel Awards) ile ödüllendirildi. Ottoman Hotel Imperial daha once de uluslararası alanda 2 kez ödül kazanmıştı. 7 kıtada 172 ülkenin, 94 kategoride mücadele ettiği yarışmada, 350’ye yakın davetlinin katıldığı törende Ottoman Hotel Imperial’in ödülünü, Ottoman Hotels Group Yönetim Kurulu Başkanı Cenk Konuşur ve Ottoman Hotels Group Genel Müdürü Serdar Balta ile birlikte aldı. Dünyanın en önemli tarihi yapılarından biri olan Ayasofya’nınhemen yanında yer alan ve konuklarına eşsiz Ayasofyamanzarasında güne merhaba deme konforu yaşatan Ottoman Hotel Imperial ‘de, toplam 49 oda yer alıyor. Ottoman Hotel Imperial bünyesinde yer alan Matbah Restaurant da, OsmanlıSaray Mutfağı’ndan lezzetleri günümüze taşıyarak konuklarına sunuyor. . The Ottoman Hotel Imperial has been recently chosen as “the Best Historical Hotel” in the World Luxury Hotel and Spa Awards, which is one of the most prestigious organizations on global travel industry and also accepted as the Oscars of tourism and hospitality industry worldwide. More than 1000 hotels from all over the world have been nominated this year for the World Luxury Hotel Awards which aims in rewarding the features like exceptional service, quality standards for a leisure accommodation, and achievement in service excellence. 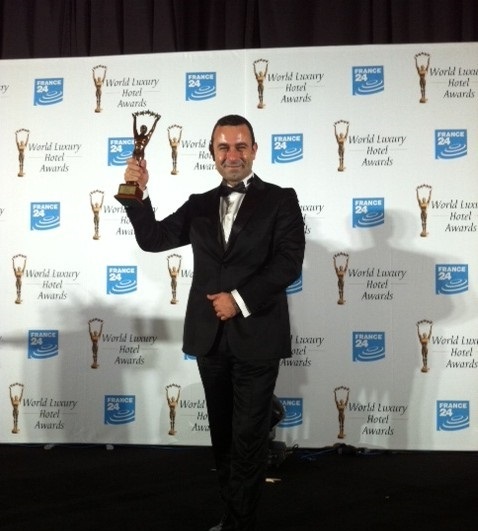 At the end of a voting on annual basis by hotel guests and industry professionals like tour operators and travel consultants, the Ottoman Hotel Imperial has been awarded in the category of Best Luxury Historical Hotel in Turkey. The gala ceremony of the awards, which began 6 years ago to bring the most luxury hotels together and to reward the hotels which have gone out of their way in achieving service excellence, was held in Kuala Lumpur, Malaysia on the 13th Oct, 2012. 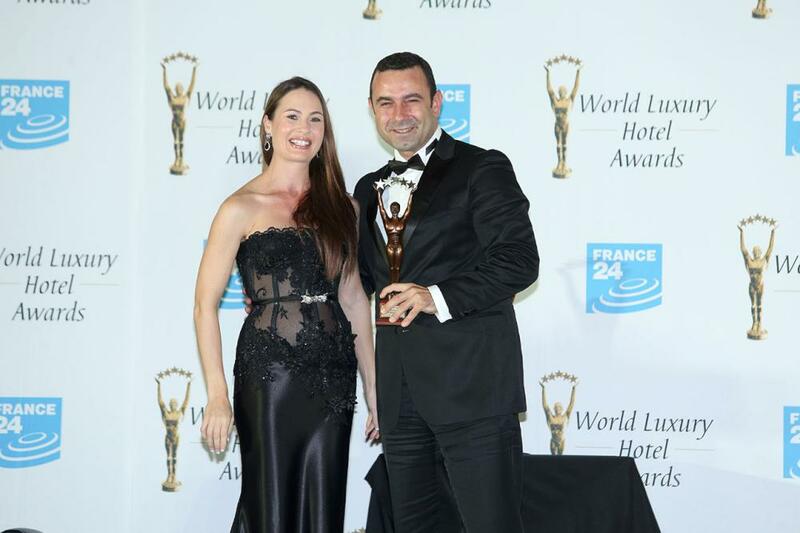 On behalf of the Ottoman Hotel Imperial, the Best Luxury Historical Hotel award was presented to the General Manager, Mr. Serdar BALTA by the Executive Manager of WLHA, Mrs. Marinique de WET. Being situated at the historical peninsula which brings together east and west, Ottoman Hotel Imperial hosts its guests by combining historical sense of the city with exceptional service. Being honored by several awards within the last 5 years the Ottoman Hotel Imperial has recently enhanced its success in the fifth anniversary thanks to the Award of Best Luxury Historical Hotel in Turkey.